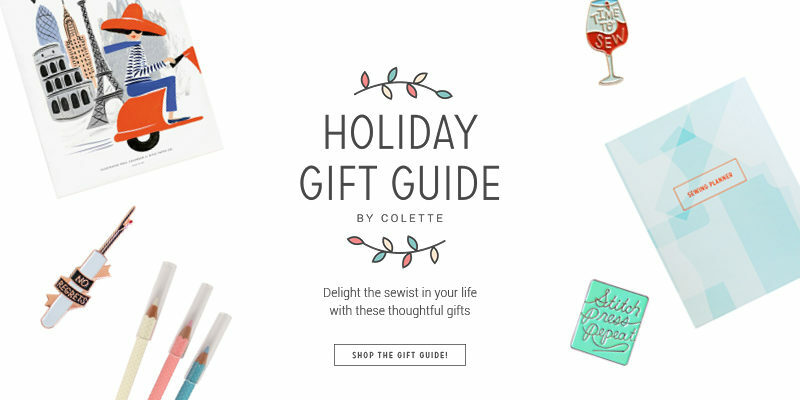 The Colette Holiday Gift Guide is here! The Colette Holiday Gift Guide is here! 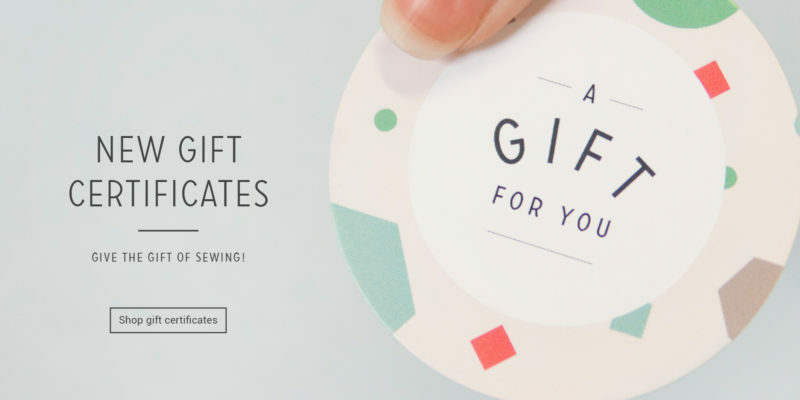 We’ve put together some special holiday gifts for the crafter in your life—or, if you are the crafty one, some helpful hints to send your loved ones. 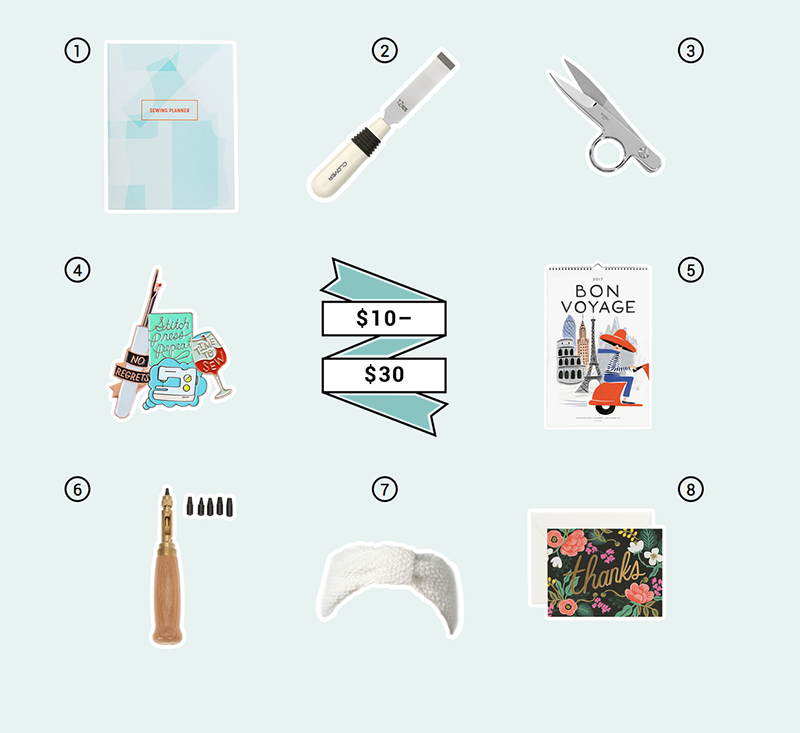 The Gift Guide is a hand-picked collection of our favorite tools, books, and goodies. We organized our favorites into different price points to make your holiday shopping a lot easier. Does your tote bag collection need more color? Some pink, perhaps? 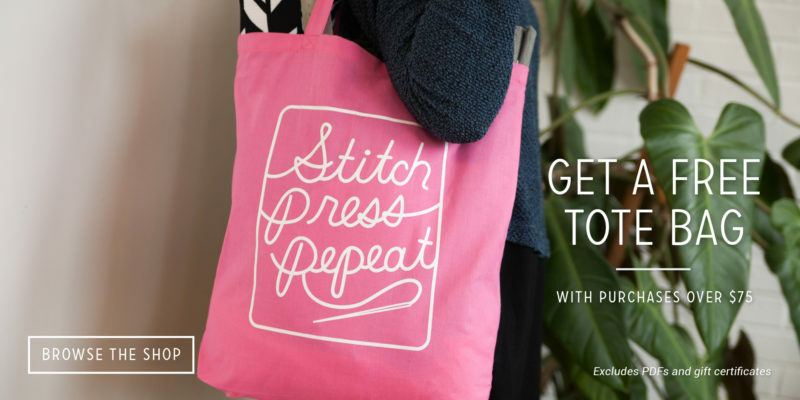 Get this free tote bag with purchases over $75 (excluding PDFs and gift certificates). Bring this bright pink tote to the fabric store or use it to carry your sewing supplies when you’re on the go. It features a motto to sew by: Stitch. Press. Repeat. We now have physical gift certificates! If you always like to give gift certificates in person, you can now gift a personalized card. You can find gift certificates in the shop here. All of our favorite winter-weather designs are now in a bundle. Get 4 patterns for the price of 3! The bundle includes Anise, Wren, Peony and Phoebe. 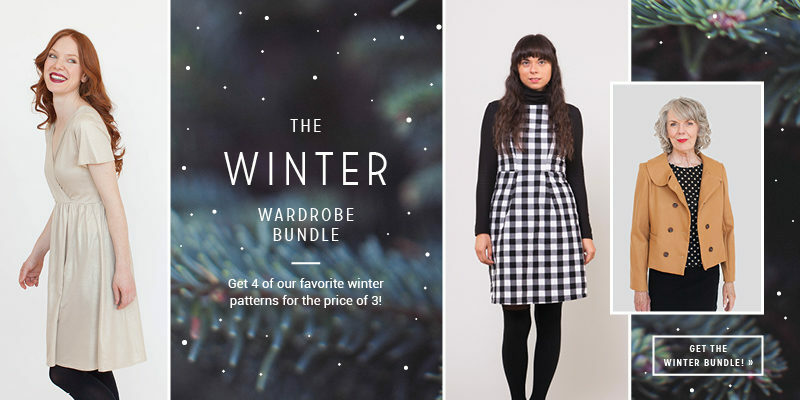 With a coat and 3 different dresses, this pattern bundle has your winter wardrobe covered. Best of all, these patterns are perfect for layering, so you can still wear them when the sun comes out! Deadline extended: Enter the Cooper sewing contest by Sunday night to win! Thank you so much to putting this together! I just forwarded it to my husband for Christmas gift ideas. Also, thank you for sharing your creativity with us. It is always a joy to read your publications!